Years – Think of all your furniture in terms of how many years you have owned it and if it has held up or not because Amish Ohio furniture is built to last forever. Made from solid woods and the finest of finishes, you will be very pleased with the new look. Finances – Always consider your finances before buying a whole new outfit for your home. Plan ahead and budget. You can always start with more affordable items at first. At the Amish Ohio furniture store there is something for everyone. As finances can be a major distraction for most consumers, there is no need to worry because the Amish Ohio furniture store even has a clearance section that will make you very happy. Clearance – With huge savings you’ll wonder why you haven’t tried us before. There are many clearance items to choose from and unbelievable prices. You and your wallet will be very happy that you went with us. If you are not able to take your new furniture home with you that day, then we can help you. There is no reason to suffer anymore with that old furniture as delivery is available. Delivery – Time is important, and we realize this. For a small fee we can have your furniture delivered and set up. Our drivers are experts, and they will call ahead to make sure that your furniture arrives safely. You’ll never have to worry again as the Amish Ohio furniture store will be the only one you will like and trust. If you have no other outlet for getting rid of your old furniture, let us take it for you. We will take your old items, for a fee, and replace them with new items. Pick Up – Don’t break your back getting that furniture into your home. Let our team of professionals do the hard work for you. All you need to do is sit back and relax while enjoying your new furniture. Our goal is to make you happy and to keep you returning for all of your furniture needs. Our team of experts believe that the customer always comes first as we offer top quality customer service for our clients. We need and want you to be the focus of our business. Now our competitors can’t offer anything this great. We like to see a smile on your faces. 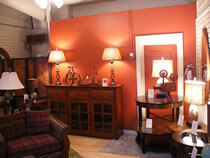 Established in 1992, our Amish furniture store Columbus Ohio has been growing ever since. There’s a reason why Ohio residents love us the most. If you’re not sure why, then stop by and see for yourself. You’ll love our savings and friendly atmosphere. You’ll be shocked that you shopped anywhere else.